Young women are increasingly at risk of harm during violent conflicts, as seen in the disturbing trend of mass kidnappings, sexual assaults and other violations in sub-Saharan Africa. Examples include the campaign by violent extremist groups such as Boko Haram to undermine the rights of young women through kidnappings, as well as sexual abuse against young women in north-west Central African Republic and Burundi during recent intra-state conflicts. However, risk can be reduced through conflict resilience led by young women. Conflict resilience is defined as the capacity for societies and communities to recover quickly from violent disputes and reduce their vulnerability to a resurgence of such conflicts. Women, as described in UN Resolution 1325, should play a more active role in efforts to achieve peace and security. Given the vulnerability of young women during violent conflicts, it makes sense to capacitate them to do so. Identifying young women in affected conflict areas who are motivated to transform their communities into pillars for peace and development is the first step. This is the basis of partnerships between young women and governments in the resilience process. The second step is for governments to infuse conflict-resilience education into school curriculums as the foundation for future initiatives. Recognising young women who are already leading their communities in conflict transformation can inspire others. Organisations led by young women that have begun to emerge in Africa include Messengers of Peace Liberia and the Borno Women Development Initiative. 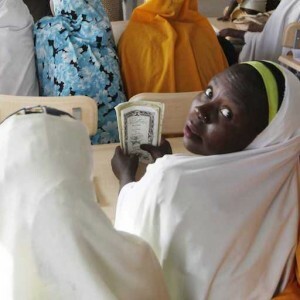 The latter, a Nigerian-based organisation, aims to place women under the age of 35 at the centre of resilience efforts to combat Boko Haram in Maiduguri. Unique to the Borno Women Development Initiative is the fact that a young woman, Fatima Askira, leads this initiative. A biological science graduate, the 30-year-old has learnt that her career is not defined by her studies but by the state of her society. In a forthcoming podcast produced by the Institute for Security Studies and Igarapé Institute’s Innovation in Conflict Prevention project, she tells how supporting and helping people affected by conflict is a responsibility and not a choice. Young women like Askira are an asset to the continent and more young women need to be afforded the opportunity to undertake similar initiatives. The ability of young women to champion resilience is, however, limited by the marginalisation of youth in general from African peace and governance processes and by the lack of sufficient investment in youth education. These contribute to a longer-term problem for young women, because they are not expected to become engaged in conflict resilience, particularly as leaders. This kind of structural inequity prevents young women from championing resilience to conflict in other ways too. Firstly, societal expectations for young men and young women in Africa diverge once they transition from childhood to adulthood. This moment is often the point at which the world expands for boys and contracts for girls. Cultural restrictions such as marriage prospects dictate the future for many young women while young men conversely start to enjoy increased autonomy and social mobility. To help address these concerns, United Nations (UN) Women developed a youth and gender equality strategy in 2017 that aims to foster gender equity championed by youth. The second structural challenge is that young women are typically labelled as victims in conflict situations, rather than actors with the ability to protect and rebuild their communities. As a result, priority is not given to the potential role of young women in ending conflicts, for example as mediators. Closing this gap is not easy but it is crucial. Building resilience needs to be multi-dimensional to ensure success. This means a strong partnership between young people, government, civil society and development partners should exist. At a community level, development partners such as the African Development Bank could fund intervention studies assessing the vulnerabilities of communities and their capacity to accommodate young women in conflict resilience. This, when done in partnership with civil society and government departments responsible for education, can lead to effective training of young women and their community leaders. Building awareness and skills on conflict and trauma, and coping strategies, is the basis for resilience. Governments should engage with development partners and regional economic communities to build the necessary human resources to enable young women’s role in community resilience. This would have the added benefit of building trust between governments and young people. Making young women champions of conflict resilience is a missing part in the peacebuilding puzzle and is long overdue in Africa. Once the partnerships and actions outlined above between government, civil society and development partners get stronger, the trust and empowerment that young women need will follow.